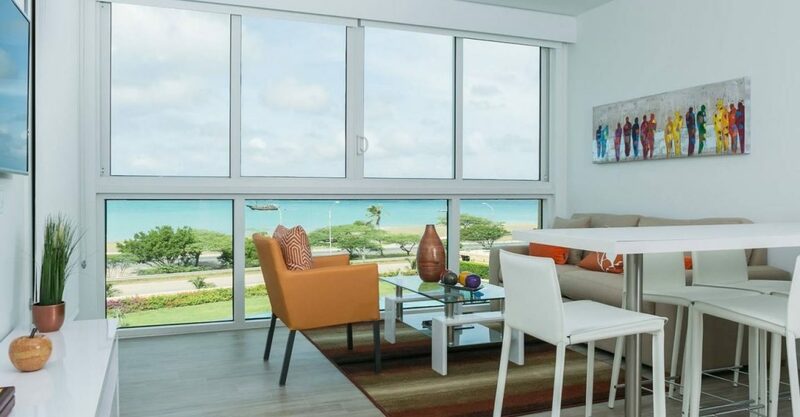 2 bedroom contemporary condo for sale in Aruba within a beachfront development fronting right on to Eagle Beach. 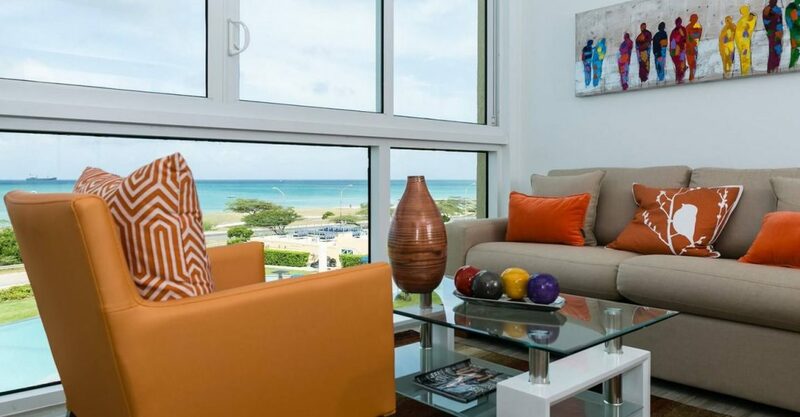 This beautiful contemporary condo is located within a beachfront development fronting right on to Eagle Beach – one of the best beaches in Aruba. Situated on the third floor of the building, the condo offers views over the pool and out to sea which is just a very short stroll away. The interior features a cozy living room with floor-to-ceiling glass windows showcasing the sea and sunset views. 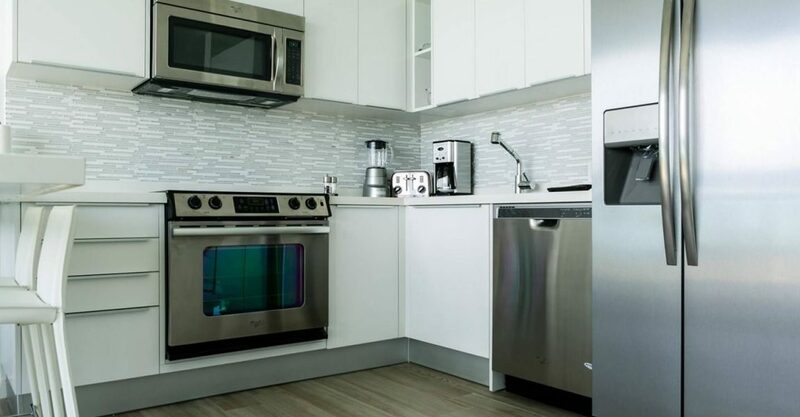 The living room is open to a dining area and a modern kitchen. 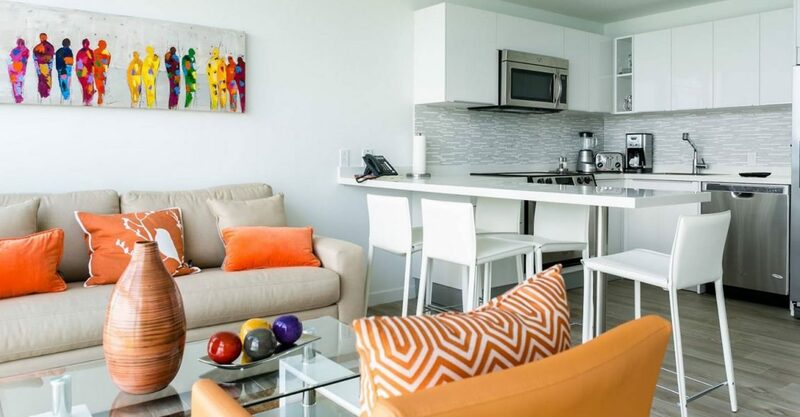 Residents of these contemporary condos for sale in Aruba enjoy use of all the amenities and services of a hotel with a gym, convenience store, restaurant, car rental, 24/7 security and check-in and check out office. 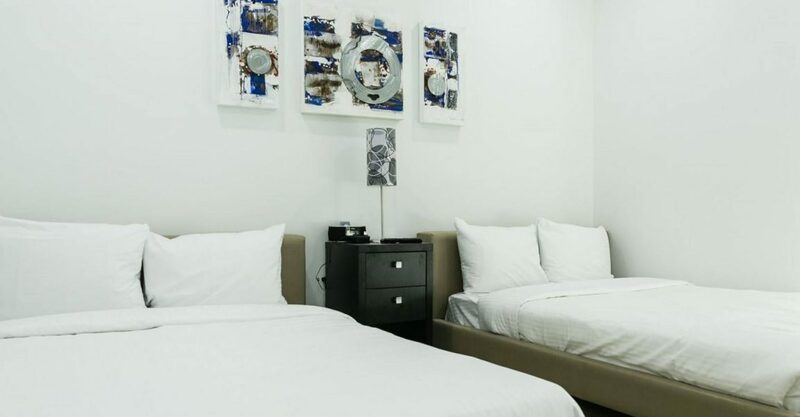 The development is conveniently located just a few minutes from Aruba’s Queen Beatrix International Airport which welcomes nonstop flights from the USA, South America and Europe. 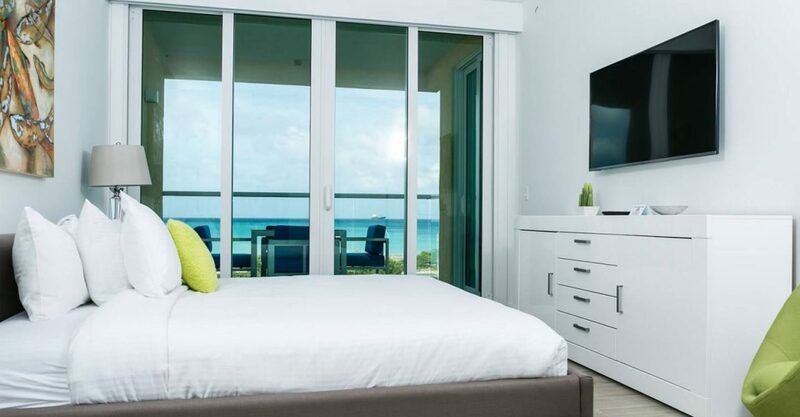 It is also close to magnificent beaches and other island amenities, such as shopping, golf, casinos, golf course, dining and diving.